If someone told you that they had a tool that could promote your child’s healthy growth and enhance their feelings of security and love for a lifetime, you would purchase it in a second, wouldn’t you? Well luckily, this tool is readily available and free of charge. The tool is…dah, dah, dah, dah…reading to your child. Intellectual development is enhanced by reading but the bonding that occurs between parent and child is where the real action is. The experts have told us that reading to infants can “jumpstart brain development and can even make them more receptive to learning.” “Brain jump starting” is a a great reason to read to your child. Another reason, and one that is close to our hearts is the incredible bonding that occurs between parent and child during a reading session. This incredible bonding is what motivated us to start our publishing company and write Mommy Loves Baby and Silly Zoo Is All I Can Say, the two books we have published so far. We saw how reading promoted the health and well- being of own children. 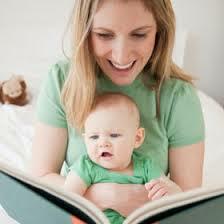 The power of a reading session with your child is truly remarkable. Think about it. The conditions are perfect. It is just you and your child (or children.) They have your undivided attention and you have theirs. Everyone feels safe and secure, like a blanket. You start to read in a soothing voice. Your child points out a picture or asks a question. You answer with no judgement. You are communicating with one another. It is all good. If the book that you select to read is a family-oriented book, all the better! You are providing a safe environment to read the book and on top of that, the book itself is about something family- oriented. 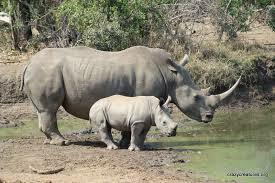 In the Mommy Loves Baby book, for example, every picture depicts an animal with his parent, mommy or daddy. Again and again the book repeats…”Mommy Loves Baby” and “Daddy Loves Baby.” Picture it. The child has Mommy or Daddy in their arms and they are being reinforced with the words “Mommy Loves Baby” and “Daddy Loves Baby.” Talk about soothing and secure! Have you experienced the phenomena of a book reinforcing the bonding between parent and child? Tell us about it and please share the title of the book! What Motivates an Author to Write a Children’s Book? I have always enjoyed reading books to my kids, the kids in my preschool and the kids at Sunday School classes. To see their faces as they absorbed the story warmed my heart! It was almost like they were right there in the story and part of it. I could see their imaginations come to life! It was the books that dealt with animals and animal families that peaked their curiosity and amazement the most. Troy and I talked about writing children’s books by drawing from our experiences raising our children and the things we did with them, like, for example, taking a trip to the zoo. 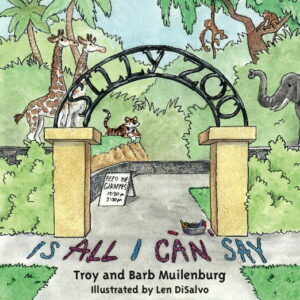 I began to reminisce about story time with my children and the idea for Silly Zoo was born. It has been a journey writing Silly Zoo Is All I Can Say, remembering trips to the zoo from when I was a child, to taking my own family. Everyone has their own favorite animal that they like to see and revisit every time they return to the Zoo. 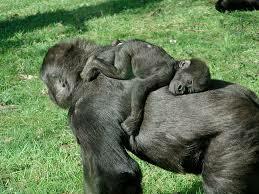 My favorite animals to visit are the monkeys and gorillas. I love to watch them groom each other and care for each other. Their attention to one another is so endearing to me. They love their babies like I love my babies! It is my hope that through writing these books with Troy that I will have the opportunity to visit schools and libraries to read to children and again see little faces light up as they enjoy the story. To see a child’s imagination light up through books is an amazing sight! What is your favorite time to read books to your children? Is a gathering place you like to take your kids for story time, like a library, book store, or park? Let me know and If I am in the area I will try and be there, Silly Zoo and all. Silly Zoo Is All I Can Say is available soon! As we get closer to releasing our latest title, Silly Zoo is All I Can Say, we cannot help but think about how it has brought back so many memories of our visits to the Zoo with our children. We have had so many wonderful experiences at the zoo that it was not possible to include them all in the book. We are sure, though, that you and your children will be reminded of your own memories of a time at the Zoo when a funny animal did that crazy thing right in front of you. Our zoo story has been sitting idle for years just waiting for the right person to come along and tell the story with pictures. The whole process developed quickly over the past few months, as Len DiSalvo worked his magic by coming up with some fantastic illustrations. Sometimes Len had a different interpretation of the animals in the story. Understanding his perspective was the fun part because we knew what we envisioned but sometimes you just have to let the artist do his thing. Each time we received an email that contained Len’s new sketches, we waited until we could open them together so that we could measure each other’s reactions to the various sketches. Some sketches were an instant hit, while others needed a tweak or two. Any changes were to let Len know exactly what we were thinking when we were putting words on paper. What a process! It was an exciting time as with each new email, we were able to see the book take shape. We still laugh at the rhino sketch with the rhino looking at the sign “white rhino” with that puzzled look on his face and question marks! As the illustrations came together we were also adding facts about the animals for readers to have a chance to learn a little more about their favorite animal. This was a fun, educational experience as we both learned a lot about the different animals. Did you know that a hippo can actually walk on the bottom of the river bed, no bridge necessary here? The strange thing about all the facts for the different animals was that sometimes, very specific facts were actually different from one source to the other. So this naturally led to more research. As far as the activities to add we simply thought about the fun, different things we did with our kids: drawing pictures, word games, and making up stories. The next time you put your children to sleep have them start a story by selecting their favorite zoo animal. Ask them to tell that animal’s story…what they like to do, who their friends are, where their family is and let your child pick where the story goes. Let his imagination go from there. Our favorite bedtime ritual was to read a short book at bedtime and tell one of our favorite stories. Does your child have a have a favorite bedtime story or book?